Continuing with this week's challenge at CCNS, I made another red and white card with hearts. I taped white card stock trimmed with the largest Spellbinders A2 Matting Basics A to the Memory Box Heart Confetti Stencil. Then I used the paste spreader for quick work with the Dreamweaver's white embossing paste. 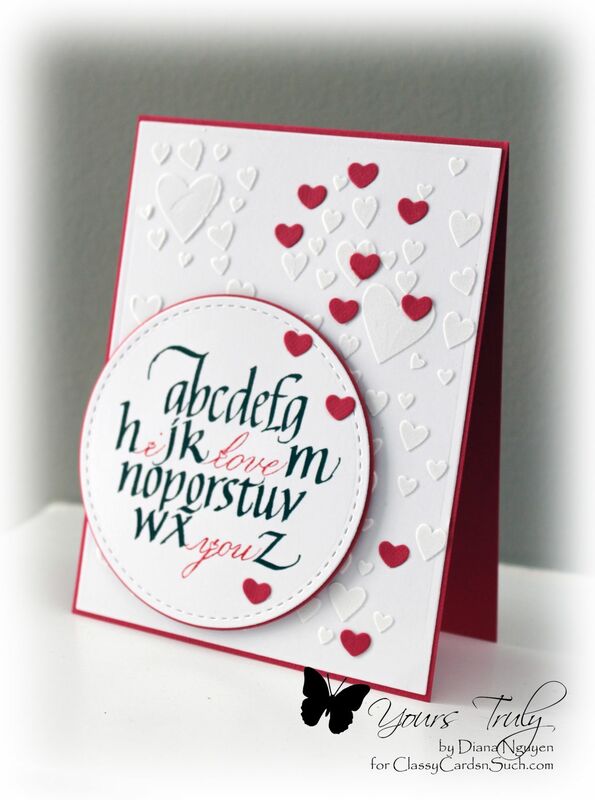 While it was drying, I stamped the I Love You Alphabet by Quietfire Design and trimmed with circle dies. To add to my confetti look, I used the little hearts from largest die from the Spellbinders Heart Circle set. With the Art Institute glue, I adhered them so that it would look like it was raining hearts.